And so it begins. 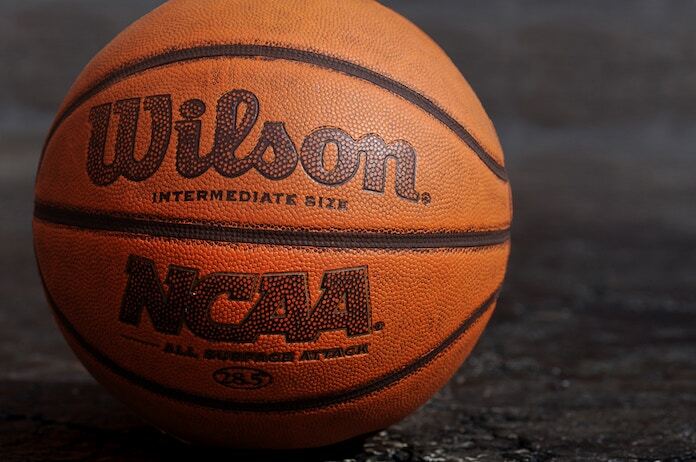 A little more than a week after Operation Varsity Blues was made public (a different kind of March madness), the NCAA’s annual men’s and women’s basketball tournaments took the country by storm with their Cinderella stories, bracket-busters, and buzzer-beaters. Nearly 60 million tournament brackets were filled out last year and the odds of filling out the perfect bracket were an eye-popping 1 in 9.2 quintillion—assuming you flip a coin for every game. Some may take heart that the odds of getting into a top college are way better than filling out the perfect bracket. Regardless, all students aspiring for a top college or university can learn a lot from the words of legendary University of Tennessee women’s basketball coach, Pat Summitt, the winningest Division 1 basketball coach ever—male or female. Over the course of her extraordinary 38 years as the head coach of the Lady Volunteers, she won 8 national titles and her team made 31 consecutive NCAA tournament appearances. We’ve adapted Coach Summit’s words of wisdom to help frame how to prepare to be the best applicant you can be. Work to your fullest potential, always striving to do your best on every class assignment. Grades and rigor of curriculum are the most important factor in admissions decisions, so devote the necessary time and energy to achieve at the highest levels. There’s just no substitute for good, old-fashioned hard work. Admissions to Ivies and other top colleges will be most influenced by your academic record—and the potential you demonstrate for continued growth and success. Put another way, your tangible record of academic accomplishment and your intellectual curiosity and engagement will account for 75% of the admissions decision. See above. It’s not just about good grades and top scores. Colleges look for students who display a true love of learning. How do schools assess this? The depth and breadth of perspectives you share in your essays and supplements set the stage for how admissions officers understand your intellectual engagement. Teachers and counselors provide compelling anecdotes about where your curiosity has taken you, typically well beyond the confines of the high school classroom. How do you show your intellectual curiosity or scholarly focus beyond your school classes? Use your interests as building blocks and don’t be limited by preconceived notions of how to do it. We’ve helped students turn their interest in environmental policy into passing a no-idling law at the state level. We’ve encouraged students to translate their love of classics into introducing Latin to elementary school students who would have not been exposed to the language. The key is exporting your love of learning to your local community or environment. Potential is an elusive quality that admissions officers seek in their review of applications: which is the student who peaked in high school and which is poised for growth. Much has been written about the advantages that families with means have or that come from attending well-resourced public or private schools but trust us, nothing moves a file to the “deny” bin faster than a sense that a student has had everything handed to them and has not lived up to potential. On the other hand, nothing moves a file to the “admit” bin faster than a palpable sense of students punching well above their weight academically (relative to the opportunities they have) and demonstrate the potential to take off academically when they get to college. We’ve said it before. Character counts. That’s true now more than ever, especially in the wake of an admissions scandal that laid bare the actions of those lacking integrity. Do your own work, write your own essays, take your own tests. Period. Full stop. Now’s also the time to check your social media presence. Any tweets, blogs and posts that highlight behavior that could be viewed as illegal or objectionable – no matter when they were created — can lead admissions officers to question your character and integrity. An otherwise strong applicant may be denied admission and admitted students may see their offers rescinded after social media posts bring to light evidence of behaviors that would not be welcome on any campus. Of course, evidence of admissions fraud–even if it comes to light after you’ve matriculated at college, gets you a one-way ticket out the door. High school, college – and life – will be filled with unexpected twists and turns. Resiliency, the capacity to recover quickly from difficulties, is a quality valued by admissions officers. We all have our academic Achilles’ heels. Develop your own reservoir of resiliency so that rather than being discouraged when things get tough, you demonstrate grittiness when faced with challenges. Good luck to all seniors in their own version of March Madness. As you wait to learn the results of all your regular decision applications this month, remember that all of us here at Top Tier Admissions are rooting for you! These thoughts are applicable to life beyond college recruiting. I enjoyed this article.